Real Families. Real Life. Real Hope. The DVD/Workbook Set includes the award-winning Parent Compass, Christian Life & Family Show DVD for Season 1 and two Go Deeper workbooks. The Workbook sections correspond with the shows from Season 1, which include fourteen family episodes with twelve families including the family of Alena Pitts, child star of the hit movie WAR ROOM and seven Life & Family Chats which feature Anne Graham Lotz, David and Jason Benham, Kay Arthur and June Hunt. 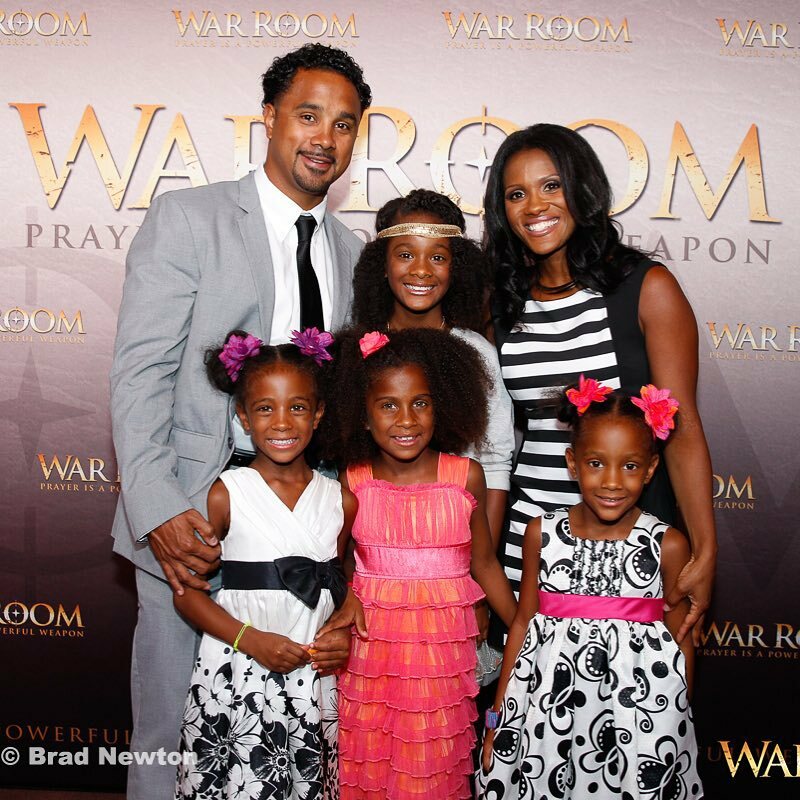 At WAR ROOM Premiere Event child star, Alena Pitts, center with her family, parents, Jonathan and Wynter, and from right to left, her sisters, Camryn, Caitlyn and Olivia. See the Pitts family is Parent Compass Episode 2 “Discovering Destiny”. The Workbook – Go Deeper with the Parent Compass, Christian Life & Family Show Workbook. Compass – An instrument for determining direction or helping a person make choices about what is right. This Parent Compass Go Deeper Workbook is an instrument to help point your family in the right direction. In each section, you’ll find quotes from each episode and questions designed to point you toward the One who can guide you in the right direction – Jesus Christ. If you would like to bring more of God, His love, His peace, and His joy, into your life, family and parenting by pointing your family True North, this workbook is for you. We look forward to walking together with you in the right direction! For individuals or groups this workbook is designed to be used in conjunction with the Parent Compass, Christian Life & Family Show, episodes and chats. Bill Zukoski directs Practice Ministries, a worldwide network of father-led Bible studies based in Dallas, Texas. You can learn more about Practice Ministries at www.practiceministries.org. Bill is married to Karen, and they have one daughter, Amy. Natalie Jones is Founder & President of Parent Compass, Christian Life & Family Show. Transformed by meeting Christ at age 10, Natalie found love, peace and joy amidst misery in childhood with yelling and screaming, food stamps and her mother divorced twice. She wants nothing more than for others to know joy found in Jesus! She is married to her husband, Neil, and enjoys time with their four sons and one daughter. Parent Compass is God’s strength for parents with true stories of God’s peace amidst life’s overwhelming difficulties. Experience the power of God.